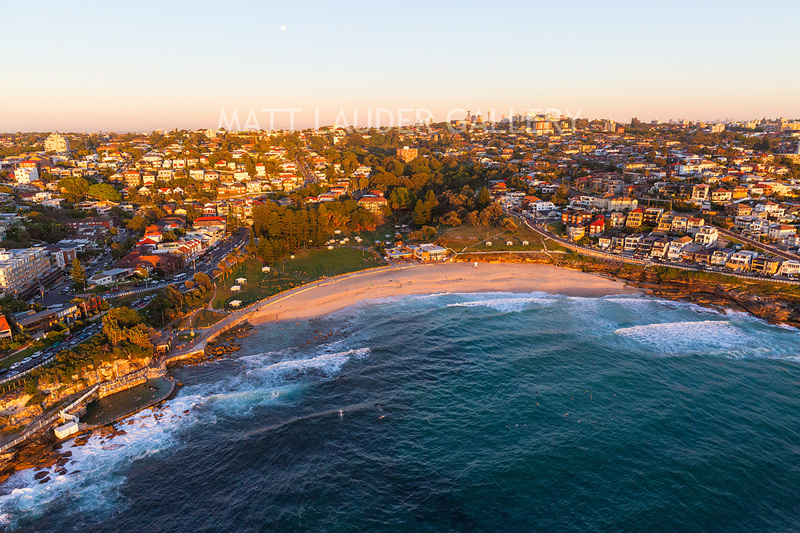 Bronte Beach Sunrise and Sunset Landscape Photos, Aerial and Surf Images. Welcome to our Bronte Beach photography page. 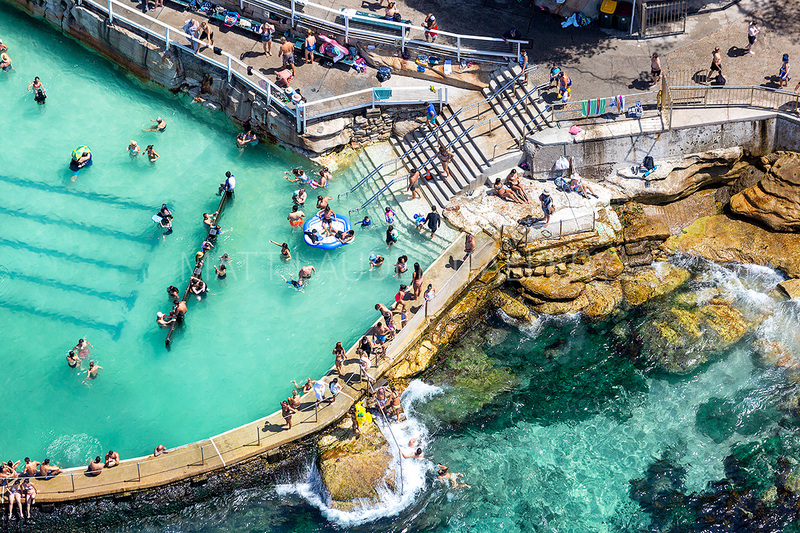 This page showcases some of the amazing photos I have of Bronte Beach and it’s Ocean Baths as your classic panoramic landscapes on sunrise and sunset and also beautiful aerials as well. All our Bronte Beach pictures are very high resolution and are printed and framed in our own professional printing and framing lab that just does our own work. So take a look we have some great examples. The heart of our website is our Eastern Beaches Landscape Photo Gallery where you will find all our locations and subsections for photos of Bronte. 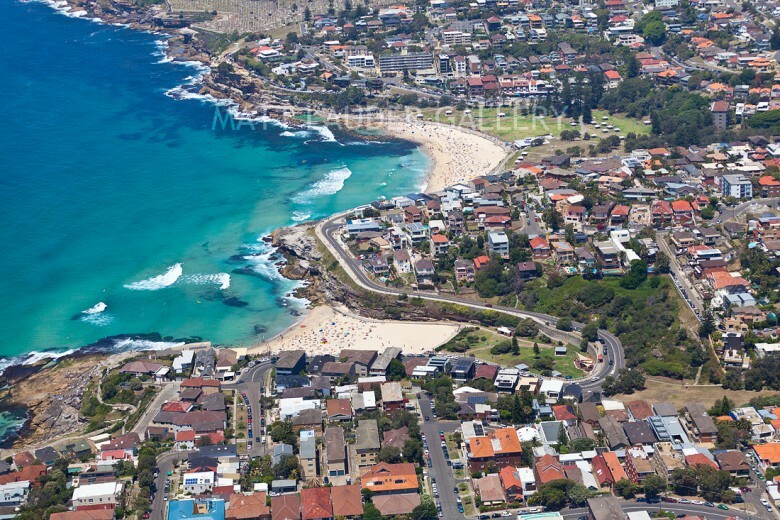 We have a great collection of aerial images of Bronte Beach along with some really nice panoramic landscape images. In the peek of summer Bronte Beach in Sydney like all the beaches can get really packed. Quite often you will see people spell Bronte Beach (Bronti Beach) which is a simple enough mistake, a lot of Sydney beaches have strange spelling. Of all my aerial photos of the Eastern Beaches of Sydney taking shots like this one is what gets me excited to go home and see the photo on my computer screen and the amazing detail, colour and scene that has been captured. To get this image it took the pilot a number of passes by to get the right angle straight down. Well worth it. When taking landscape photos in and around Sydney it can be difficult to get an angle that is unique and someone hasn’t taken before and this is one that I am proud to have in my collection. It wasn’t in our online Eastern Beaches Gallery for long until someone purchased it for their wall. This was taken on my first ever sunrise aerial helicopter flight. It was quite the learning experience juggling camera shutter speeds with making sure your image is nice and sharp in the low light of the morning. This was the result over Bronte Beach looking towards the city of Sydney in the background as well. Quite a successful photo and one that is a popular choice on the website. The coastline of Sydney’s Eastern Beaches are a photographers dream, but when you go airborne the view from 1000 feet is unbelievable especially when you do it in summer and you have all those amazing blues and aqua’s in the water with the white sand you get on this side of Sydney. This is just one of many aerial landscape photos I have over this area. To get capture this photo of Bronte Ocean Baths with a colourful sunrise I waited and waited for months and then the morning finally came and this was the result. This image was shot on my old panoramic slide film camera, the first camera I owned when I started my journey doing landscape photography. It was a Fuji G617 panoramic camera. Staying in hotels on the beach really does have its advantages and this is one of them. Shooting a great angle of Coogee Beach in summer with the beach full of sunbakers and swimmers. Looking down over Bronte Beach at 1000 feet with a doors off helicopter ride the photos you get are amazing. It is a very unique look on like from up there and the images your able to take that show a small glimpse of a moment in the day. 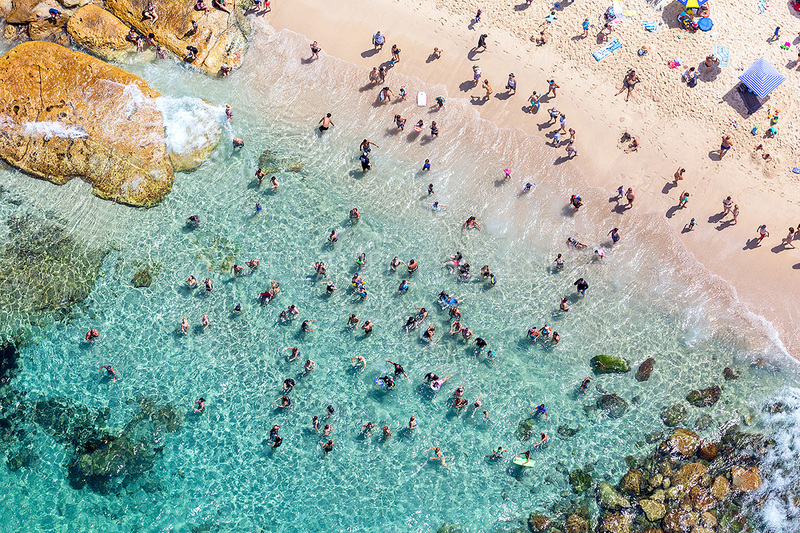 A great wide angle aerial panoramic photo of Bronte Beach to Tamarama Beach shot out of a helicopter during a hot Aussie summer. My online photo gallery is the only place where you will find unique photos of Bronte like this. When printed large the detail in the photo is amazing. 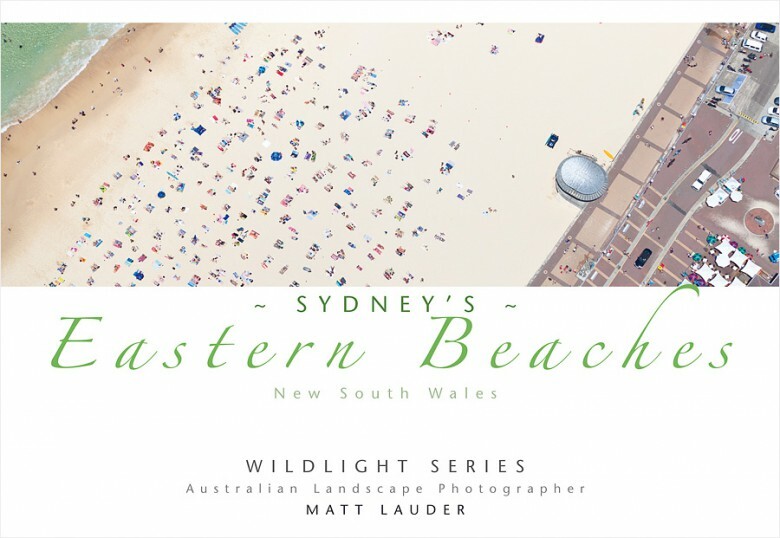 Over the years we have published a number of books that showcase the beautiful Australian coastline from Newcastle to Sydney and this book showcases Sydney’s Eastern Beaches. The book retails for $15 and is part of our Wildlight series of books. The books are titled Newcastle – Novacastrians, The Central Coast and Sydney Splendour. All books can be purchased in our online E Shop. If you have come to this page in search of from amazing landscape photography images of Sydney’s Eastern Beaches that you want as a digital download for your next web or print project then you’re in luck. 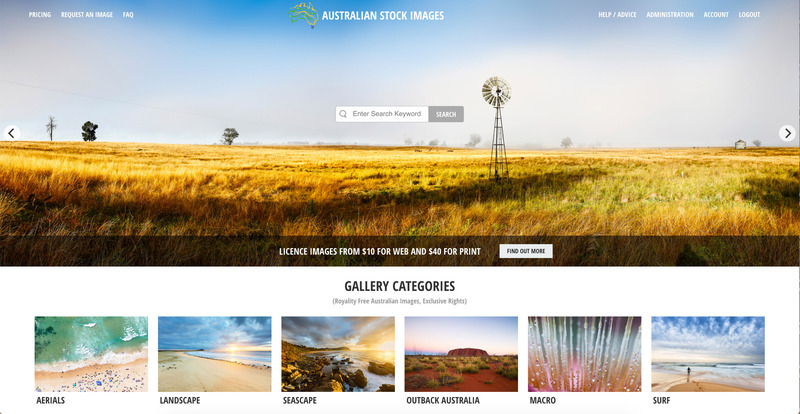 We have a great collection of images featured on the Australian Stock Images website that are available from as little as $10 for web and $40 for print and are Royalty Free.